I am contactable on my mobile: 07718 374382. I will respond to calls, text messages and emails as soon as I can. If you need to discuss a problem that you are getting, or you are unsure whether I may be able to help you, then please do phone me. If for some reason I don’t answer the phone, then please leave a message and I will get back to you. 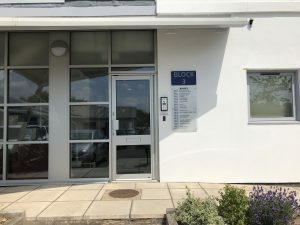 I am located in Block 3, Unit 40, The Wincombe Business Centre. The practice is on the first floor and their is wheelchair access with a ramp and a lift if required. Useful landmarks: The practice is close to Friars Moor’s vets and the Recycling Centre (otherwise known as ‘the dump’). 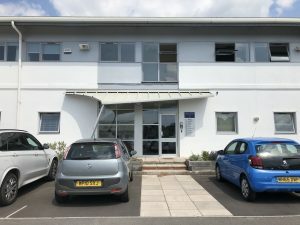 – The practice is situated on the outskirts of Shaftesbury, on the A350 towards East Knoyle/Warminster. 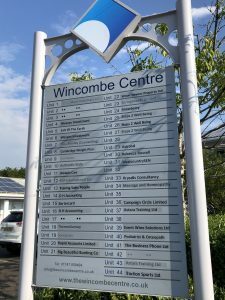 – There is a right turn off the A350, to the Wincombe Business Park. – Look for signs, Osteopath and Podiatrist (Unit 40/ Block 3). 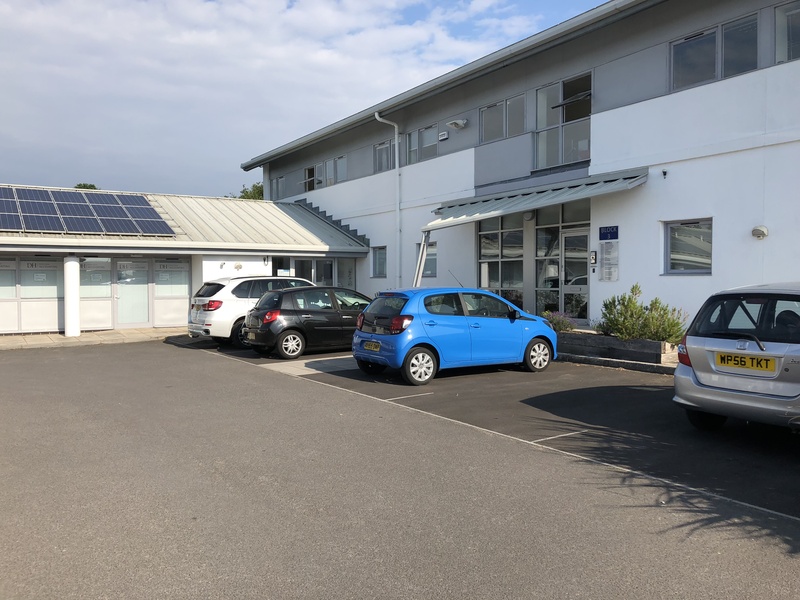 There is plenty of parking around the Wincombe Centre. If you turn right to ‘the Tip’, you have passed it and gone too far! An intercom system is used to gain entry to the building. Press 40, followed by enter, and wait to be let into the building. There is a waiting area at the top of the stairs. Please wait to be collected there and you will be shown to the clinic. Data that you input here will only be used for the purposes of providing information about directions to the clinic. Any data you input here will only ever be used for the purposes of contacting you to provide information about your appointment and/ or details about the clinic.